Pale Ale -- 5.3% ABV, 35 IBU. Pale, Crystal 40, Munich, Victory Malt & Oats compose the grain bill. Lots of Cascade & Amarillo hops were added to this one throughout the brew. IPA -- 7.0% ABV, 55 IBU. A simple malt bill consisting of Pale & Vienna Malt & Flaked Wheat. Enjoy the hoppiness of this beer, dry-hopped with Cascade, Centennial, Mosaic & Chinook. Grapefruit IPA -- 6.5% ABV, 55 IBU. The Blue Ghost IPA with a fresh-squeezed blend of white and pink grapefruits added late in secondary, adding to the tropical & citrus punch that the IPA begins with as a result of the hops that go into the brew. Mango IPA -- 6.5% ABV, 55 IBUs. The Blue Ghost IPA with Mango added in secondary. English Porter -- 5.2% ABV, 27 IBUs. This malty porter was brewed in 7 different types of grain, including chocolate & roasted barley. English ale yeast did the heavy lifting during fermentation to produce this full-bodied porter. Bearwallow Hoppy Blonde - 5.5% ABV, 41 IBUs. 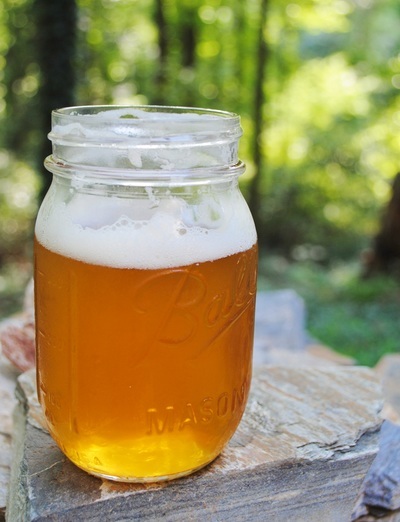 A blonde ale hopped like a light IPA, with Cascade, Amarillo, and Citra hops. Mountains To Sea DIPA -- 8.3% ABV, 85 IBUs. The Blue Ghost spin on a Imperial New England IPA, with double dry-hop additions Galaxy & Citra hops, and fermented with London Ale III yeast. Grain bill is simply Pilsner & Pale Malt and Flaked & Malted Wheat. Ry's Rye Hopyard IPA - 4.8% ABV, 32 IBUs. This beer is a tribute to Ryan, and it's part of Hopyard series - which means that it's a brand new, never brewed before IPA recipe at Blue Ghost. It was brewed with Flaked Rye, Flaked Wheat, and Pilsner Malt, and Hopped with Citra, Mosaic, and Idaho Gem Hops. 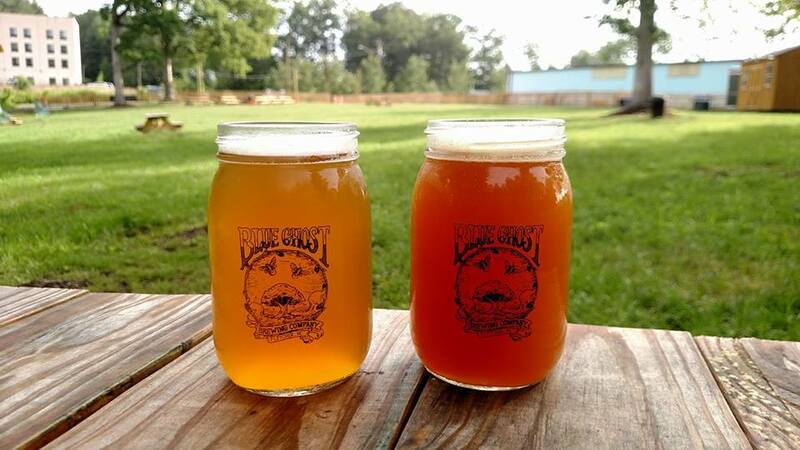 Blue Ghost will be donating $1 per pint from the whole batch to Ryan's three daughters' college fund. 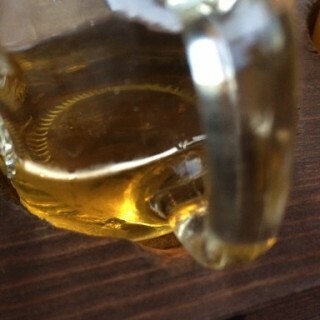 Pilsner - 5.3% ABV, 27 IBUs. A Blue Ghost first, this Pilsner was brewed with Pilsner malt, corn, rice, and is lightly hopped. Blue Ghost 2-Diddy Root Beer -- Non-alcoholic, house-made root beer made with molasses, organic cane sugar and spices -- on tap! Bold Rock Hard Cider: Rotating seasonal and year-round varieties. Bota Box: Chardonnay -- 13.0% ABV. Lively aromas of nectarine, white peach, and light floral notes. This delightful medium-bodied wine has flavors of ripe peach, nectarine and bright citrus with a refreshing, clean finish. Bota Box: Nighthawk Black -- 13.5% ABV. Rich aromas of raspberry, blackberry, caramel and hints of vanilla. With lush flavors of deep berry, fig jam, dark chocolate, toasted marshmallow and baking spice, this smooth, full-bodied wine culminates in a juicy, lingering finish. Coke, Sprite, Diet Coke, Juice Boxes & Bottled Water are also available.